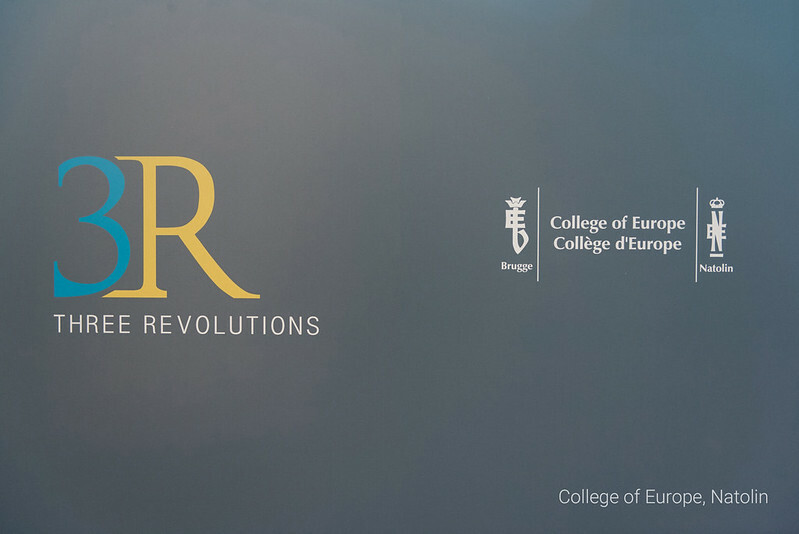 On 16 and 17 March 2018, the European Civilization Chair hosted the International Symposium "Revolution, War and their Consequences" at the Natolin campus of the College of Europe. 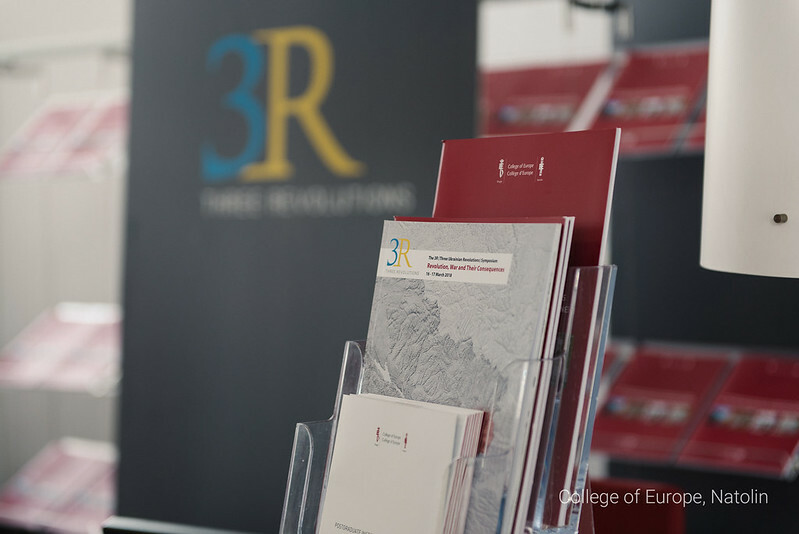 The symposium continued the work of the 3R Project, initiated by the Chair in 2016, and was dedicated to the events which took place in post 2014 Ukraine and their consequences for the Ukrainian society as well as the international relations in the region and globally. Information warfare and hybrid warfare. Among the key Ukrainian and European officials involved in resolving the crisis in Ukraine we had the pleasure to welcome: Mr François HOLLANDE, former President of the Republic of France; Mr Arseniy YATSENYUK, former Prime Minister of Ukraine; Mr Sviatoslav SHEVCHUK, Major Archbishop of the Ukrainian Greek Catholic Church; Mr Adam Daniel ROTFELD, former Minister of Foreign Affairs of Poland; Mr Borys TARASYUK, former Minister of Foreign Affairs of Ukraine; Mr Mykhailo KOVAL, first Deputy Secretary of the National Security and Defense Council of Ukraine and former Minister of Defence of Ukraine; Mr Danylo LUBKIVSKY, former Deputy Foreign Minister of Ukraine; Mr Daniel FRIED, the State Department's Coordinator for Sanctions Policy, former US Ambassador to Poland; and Mr Refat CHUBAROV, chairman of the Mejlis of the Crimean Tatar. A strong body of distinguished scholars was represented by Prof. Igor GRETSKIY, Prof. Stefan HEDLUND, Prof. Aleksandra HNATIUK, Prof. Yaroslav HRYTSAK, Prof. Andriy MELESHEVICH, Prof. Kálmán MIZSEI, Prof. Serhii PLOKHII and Prof. Kataryna WOLCZUK inter alios. On the second day of the conference, 17 March 2018, a Ukrainian film by Mr Akhtem SEITABLAEV entitled Kiborgy (Eng. Cyborgs: Heroes Never Die) was screened for the first time in Poland. The film tells the story of a several-weeks-long military duty in September 2014. A group of military volunteers comes to Donetsk Airport which has been held by Ukrainians for more than four months of war. These volunteers are known as Cyborgs. The screening was followed by a discussion with the film director Mr Akhtem SEITABLAEV and Ms Ivanna DIADIURA. The screening of the film was organized with the support of the Ukrainian Embassy in Warsaw. The conference was preceded by the debate dedicated to the centennial of the Russian revolution and the ending of WWI entitled "Between Russian Empires. One hundred years on" on 15 March 2018. The conference was live-streamed. The videos of the conference are available on our YouTube channel.